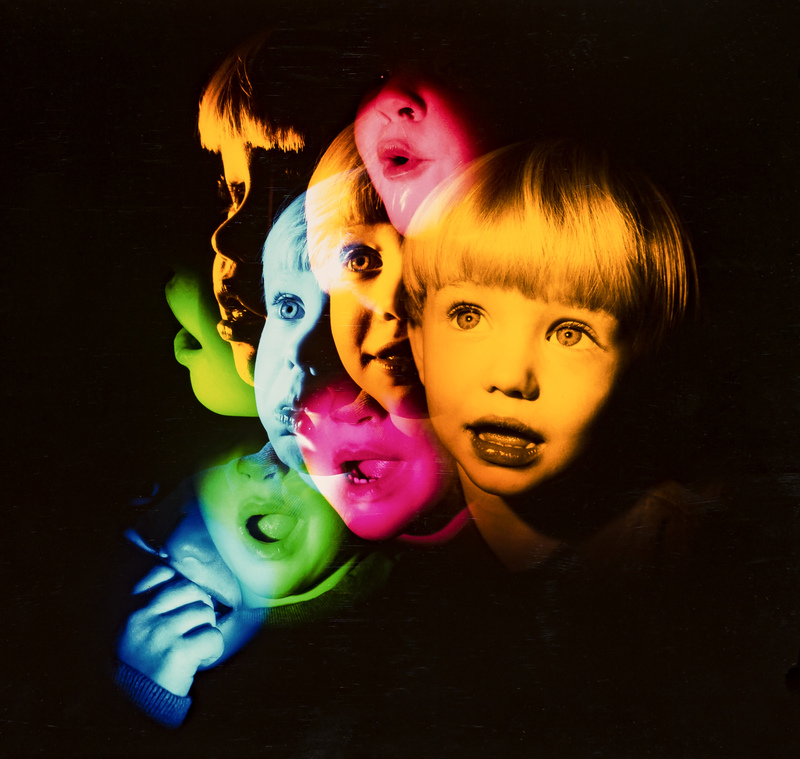 PARENTS STUTTER 1994 is a multiple image Cibachrome print made from images shot on Ilford XP-1 film. The colors were created in the enlarger, in a time before Photoshop. Created for Parents magazine in 1994.